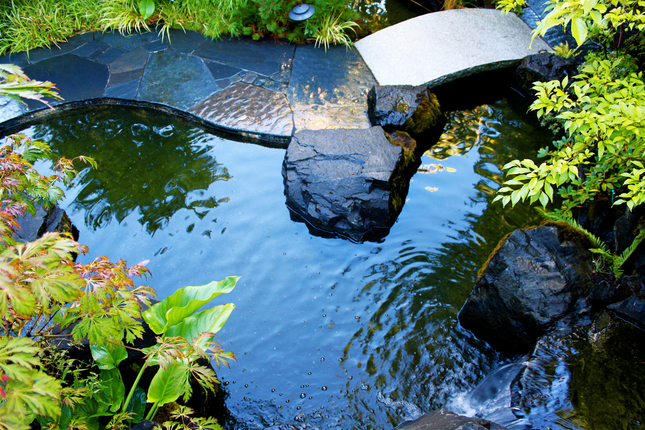 Entry patio with pond and stonework. Make an entry statement with mixed specimen and native plantings. 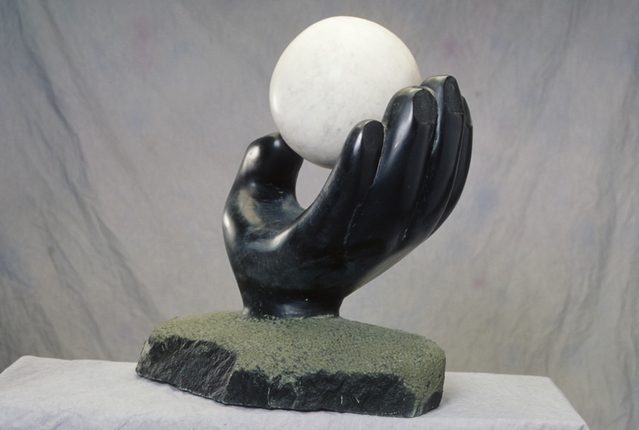 Stone and mixed-media sculpture for interior and exterior display. 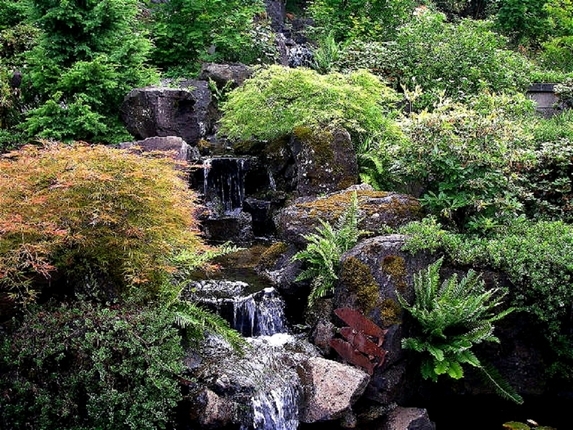 Daichi means "great land" in Japanese, and Daichi Landscape owner Jim Robinson strives to integrate all the elements of his landscapes into a cohesive whole. We believe each element of a garden, from the smallest pebble to the largest tree has the potential to harmonize with all the other elements. The result can be striking and rejuvenating. 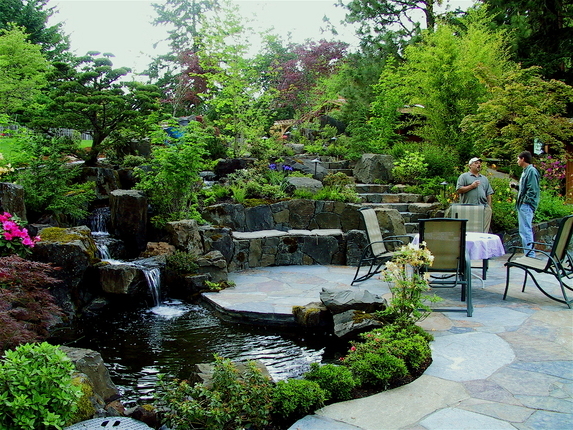 Daichi Landscape provides landscape design and landscape construction anywhere in Eugene, Oregon, the Pacific Northwest, and beyond. The primary goal of Daichi Landscape is to create oases that refresh and revitalize people’s lives by providing direct connections to nature’s essential elements. We take pride in our work and it shows in the landscapes we create.